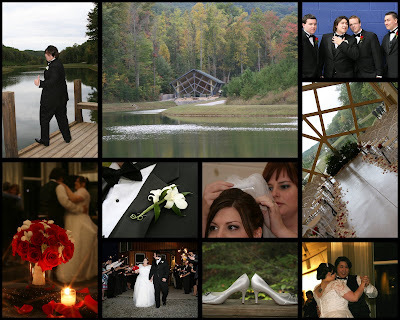 Leslie and JR were married at the Butterfly Gap Retreat. This wonderful outdoor/indoor location on a private lake is beautiful year round. Lauren worked with them on their wedding day and she'll write more soon. Congratulations again!